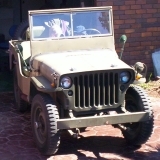 G503.com is Military Vehicles, The WWII Military Jeep, Parts, Olive Drab and All Related Things. The Spotlight is set for 2 hours, 24 minutes. It changes in 2 hours, 24 minutes. Comments: GPW Frame with a Willys Block and Ford Head with a Repo Body. Still researching it's history. 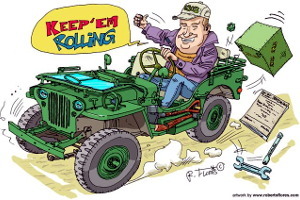 We'll keep the parts rolling out to you! 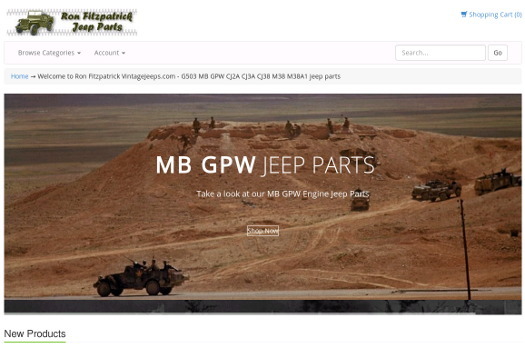 Shop Ron Fitzpatrick Jeep Parts! We were recently contacted by Chris Story, a member of the Dixie Division. He has a website called radionerds.com, where he hosts military communications manuals. These are are all FREE, with no limits on download and there are no ads or commercial products sold. It is strictly a digital library for public domain documents. 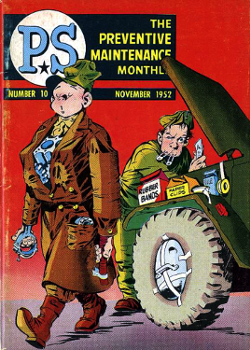 Chris has recently added a new archive of all the PS Magazine issues and has access to the entire archive from the US Army. These are now online and can be seen and downloaded here at psmag.radionerds.com. These are a completely free resource.